The show sees everything 3D printed, from grass through to pioneering innovations in prosthetics and fashion. The only car at the show belonged to our customer Strakka Racing, the Silverstone-based team presenting its new LMP2 challenger as a key showcase of additive manufacturing. Strakka Racing is developing rapidly; with expansion into karting and Formula Renault as well as a new Performance Centre coming on stream – the team is transforming into a sustainable motorsport business. Wider exposure of its engineering expertise is important to that growth and to assist the team to forge new partnerships. Through our network of contacts, Strakka has entered a technical partnership with leading 3D printer manufacturer Stratasys. Together the two are looking at increasing the use of 3D printed parts in motorsport. An LMP car will do more miles flat out at Le Mans than an F1 car does all year so it’s the perfect apparatus on which to demonstrate their durability in a harsh environment. 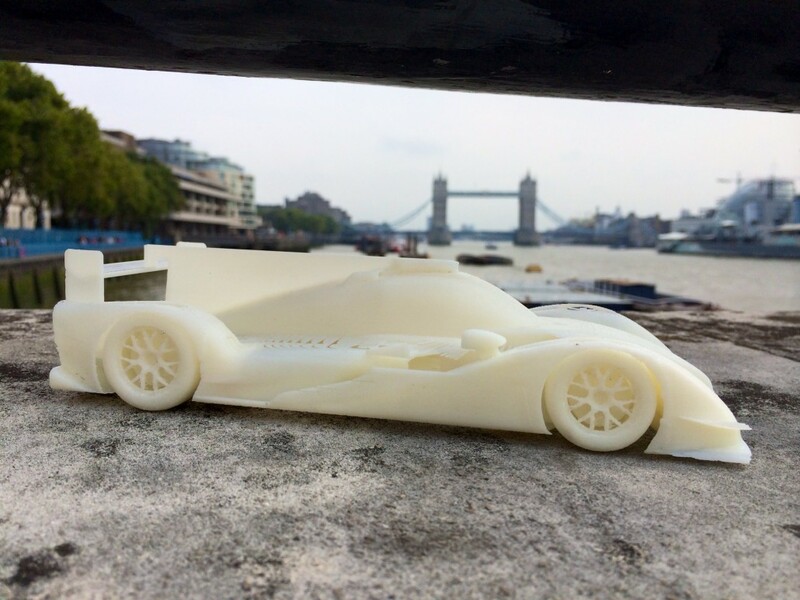 What started as an interesting case study highlighting how 3D printed parts could be used in real racing applications is just like the race team; evolving. Aside from the technical developments that could see a significant amount of future parts for the car produced on the now in house 3D printer, the partnership has enabled Strakka to showcase the car and itself to an entirely new audience at this more consumer friendly show. The consumer element of the show meant there was consumer media, hungry for interesting and new applications of the technology. As professional motorsport tends to keep quiet about many of the clever things it does, the chance for media to engage and get up close to a top-flight race car led to TV interviews with BBC, Associated Press, Al Jazeera, terrestrial TV from across the world as well as national radio and newspapers. For a team wanting to show the wider world, potential drivers and sponsors what it can do, the result was broad spectrum, global coverage, far greater than could be achieved simply from presence at a racetrack. If you are fed up of doing the same old thing, why not give us a call?